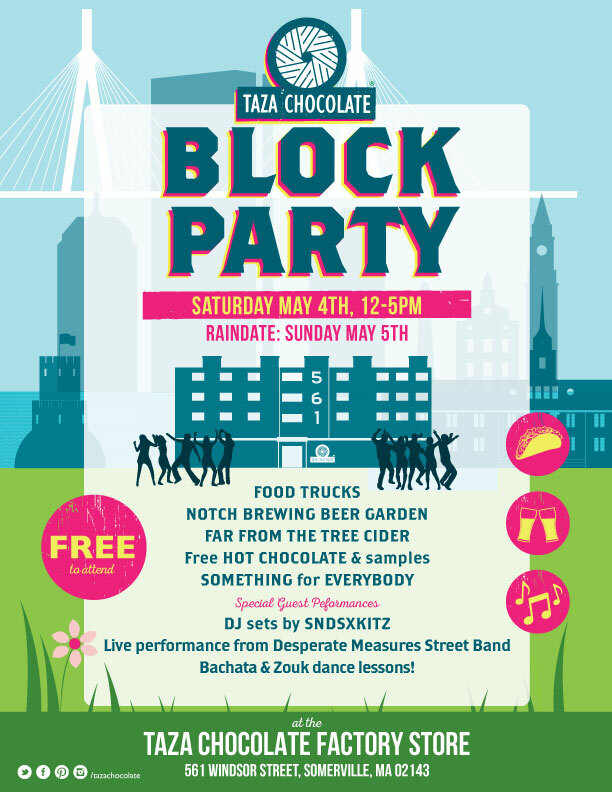 We’re taking Salem to Somerville as Taza Chocolate celebrates spring! -Food for purchase from Bartleby’s Seitan Stand, North East of the Border, Taco Party, Buenas, and Honeycomb Creamery’s custom Choco Tacos. -Music from Kitzner Vassor (global beats DJ) and Desperate Measures Street Band. YOu can also take advantage of Bachata and Zouk dance lessons.